An actual copy of my book! So it looks like the good folks at the PB ran a little story on my Geo-trike yesterday. Of all the things I have accomplished over the years, to gain fame by this one little “invention” is fairly disgusting. But then again, I guess I will just have to grin and bear it. Whenever you do something that is totally not mainstream, then you better get used to some extra attention from the general public. I learned this when I took that first road test in the Geo-trike. When the reporter guy called the other day my phone was acting up and I could barely understand him. After asking me a myriad of questions and telling me his name for the second time, I finally got the picture. However, I still had no inkling that he would publish a complete article on the beast. As usual, the media did not get the story quite right. For instance, the Geo was made for General Motors, not Ford. But hey, if you are not a car guy, how would you know that without asking? Also, I forgot to mention that the Geo is on engine and transmission number two as the first one took a dive last year and I had to find a replacement. But that’s a whole ‘nother blog story all by itself. I thought that the mention of my bluegrass band, Down Home, was a nice touch as well. Anyway, if you’re reading this and want more info on the Geo-trike or any of my other mechanical mis-adventures, you can order a copy of my book. 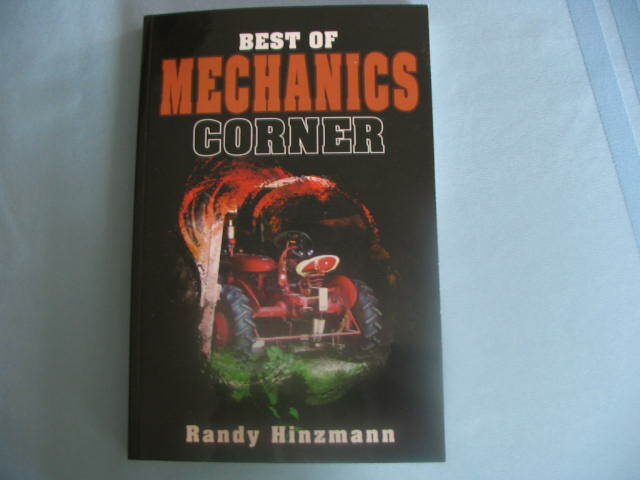 It’s available at Amazon.com or if you want a signed copy just shoot me an email at: randys@citlink.net. Cost is $19.95 plus tax. I will even pay for shipping. There are not one but two chapters dedicated to the building and driving of the Geo-trike project in there, plus a lot of other good stuff.